At Big Blue Bug Solutions we know and understand how important it is to protect the structure of your home or business, keep your belongings safe, and to make sure that illness from pests is kept away from your property. The professionals at Big Blue have been working to protect the homes of Massachusetts, Rhode Island and Connecticut for over 80 years. Our highly trained technicians are continuously trained on the newest technology and pest control developments. Big Blue’s pest experts will work professionally and efficiently to give you the best and safest pest protection possible. Along with providing residential pest control and commercial pest control services, Big Blue also provides many other services. 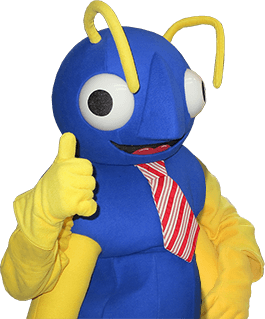 For Massachusetts pest control you can trust; contact Big Blue Bug Solutions today! If you are in need of Wellesley pest control services for you home, we have available our Home Owner’s Policy to protect your home and family against a large variety of common household pests. Pests we treat for include: cockroaches, fleas, ticks, silverfish, clothes moths, carpet beetles, food infesting insects, mice, rats, spiders, earwigs, millipedes, and ants (with the exception of carpenter ants). This home pest control program consists of an initial inspection and treatment for you current pest problem, followed by three seasonal services visits to help ensure that your home is kept pest-free. We also provide our customers with free emergency services. Our residential pest control program is designed to protect your home from pests throughout the whole year, no matter what the season. Having pest control insulation added into your home or business’s attic space is a great way to effectively insulate your business, along with controlling the presence of unwanted insects and other pests. The pest control insulation we provide is created from 80% recycled paper and borate. Adding pest control insulation to your home or business will help to control against pests like cockroaches, termites, silverfish, ants, pantry pests, mice and other rodents. For more information on the benefits of pest control insulation contact us today. Contact us today to get more information about any of our quality pest control services!